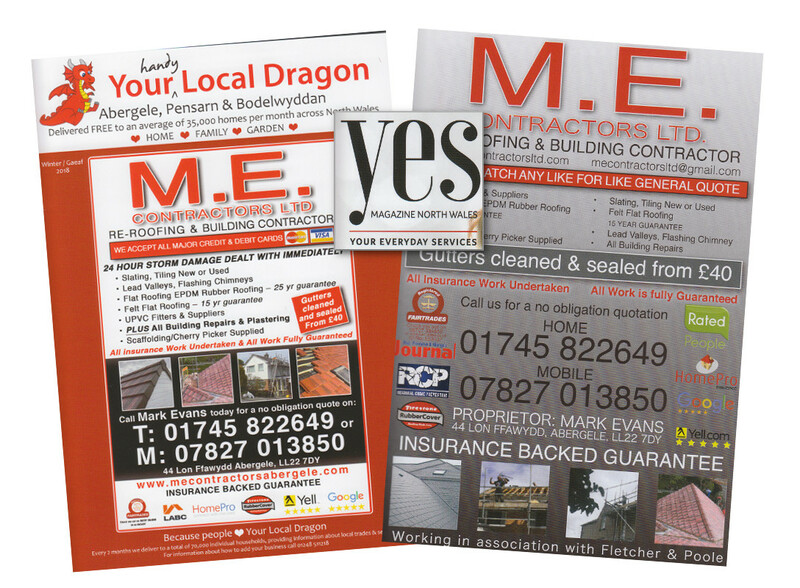 M E Contractors is a long-established roofing company based in Abergele, North Wales. 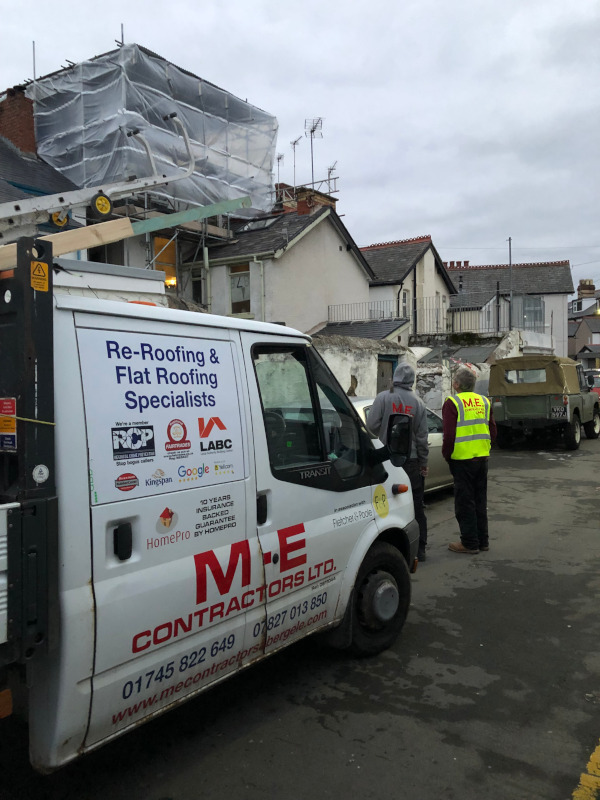 We repair and replace both pitched and flat roofs right across North Wales from Anglesey to Cheshire. Over many years we have established a reputation for good solid workmanship delivered at very affordable prices. We are experts in the installation of uPVC fascias, soffits, cladding, guttering and downpipes. Replace your decaying timbers with uPVC components that do not rot or require repainting. We can also repair, rejuvenate, waterproof, paint and recoat your external walls. Ask about our render painting and wall coating services. We are happy to provide no-obligation estimates & quotations and as much free advice as you need. All our work is fully guaranteed for a minumum 10 years & many processes for even longer. And now paving, driveways and landscaping as well! With competent and well-trained operatives properly supervised you can be sure of a workmanlike job done promptly without fuss. 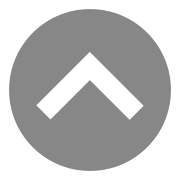 Being a limited company registered at Companies House allows us to access the independently underwritten insurance guarantees from HOMEPRO so that, in the unlikely event that something does go wrong, you can be assured of a no-quibble settlement. Make sure you hire a reliable contractor. 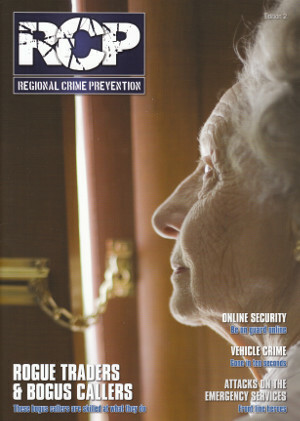 M E Contractors supports local and regional Crime Prevention initiatives. Make sure you know something about the person who calls at your house offering to do work. 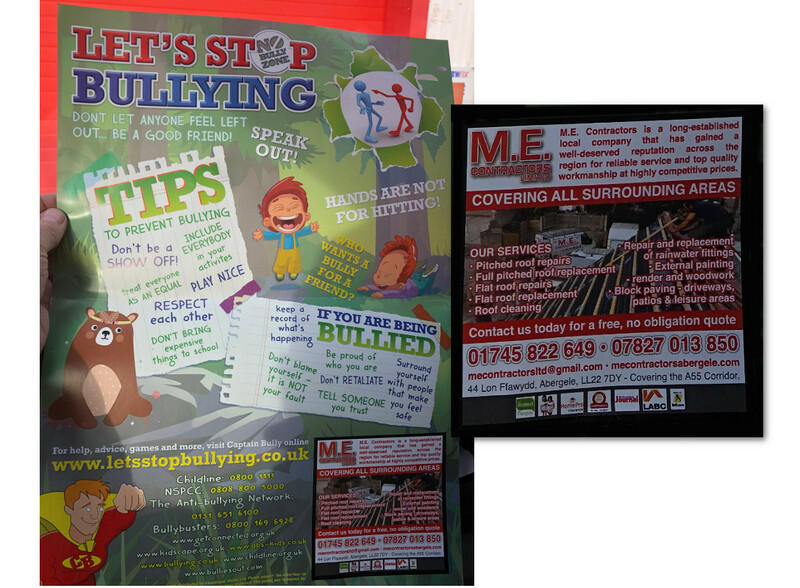 Don't just accept a plausible story and a colourful leaflet. Check them out. Do they have references from satisfied customers? 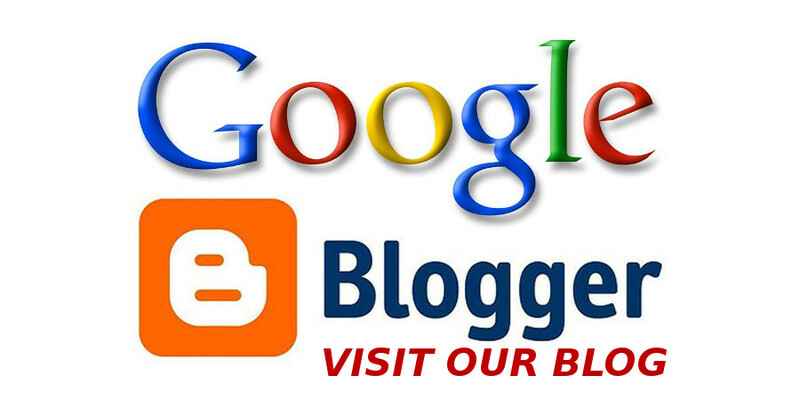 Can you verify that the references and testimonials they quote are genuine? Does the trader have a track record for service and reliability? Are they known and trusted locally? Your local roofing contractor and a family run business. 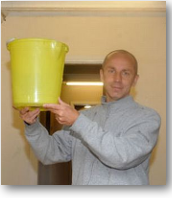 A now the Web's favourite roofer! 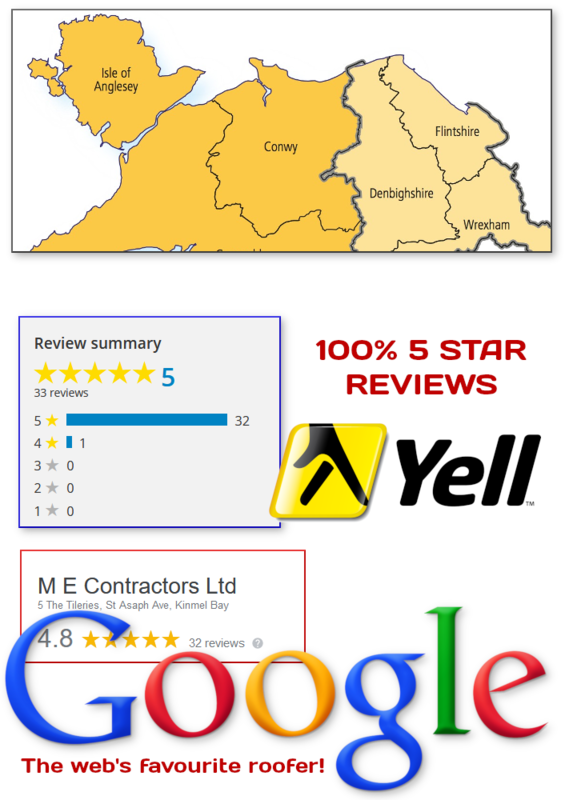 With overwhelmingly positive reviews on Google, Yell, Fair Trades and Rated People, M E Contractors is now the number one rated roofing contractor in North Wales. 24 HOUR CALLOUT & STORM DAMAGE. We keep people safe, warm and dry right across North Wales - from Anglesey to Deeside. 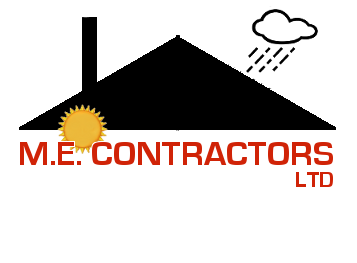 In fact with M E Contractors you're home and dry from the moment you call us wherever you live! If you have any doubts about the integrity of your roof - whether pitched or flat, slate, tile or felt - when not ask us to take look. Our roof-check surveys are free and without any obligation on your part. A couple of simple repairs now could save you hundreds or even thousands of pounds in re-roofing costs later. With a roof problem it often the case "out of sight out of mind". Similarly, you have to rely on the integrity of your workmen to do a proper job when it is difficult to inspect the work yourself. So make sure you choose a company with a good reputation and track record.